A weave is the most natural method of altering your hairstyle, and when done properly it will also protect and preserve your natural hair. There are many techniques to weaving and braiding hair. 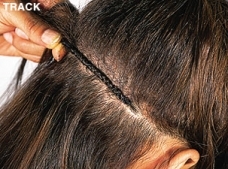 The most common way is to sew or braid your desired hair onto several cornrows depending on the look you are going for. It's so simple: just come in for a consultation to speak to the weave professionals about which method would suit you best for your desired look. Is your hair at an awkward length and won't grow out quick enough? 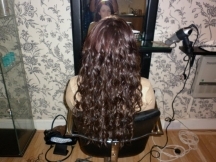 Use these hair extensions to lengthen, thicken, straighten, curl, colour or even shorten your hair without applying any chemicals. This method can repair your hair if applied properly and essentially aid your hair growth. 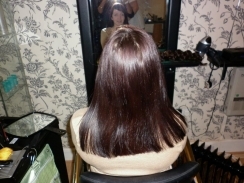 If you have a sensitive scalp it's probably best to avoid all forms of hair extensions but ultimately it depends on you, the client, as this is something that you either already know or will find out whilst having them in. You can rest assured that a "Weaves World" weave will not sit uncomfortably tight against your scalp and testimonials from previous clients will confirm that there will be little or no discomfort experienced. It is needless to say that a weave may not be for everyone but sometimes the only way to find this out is by trying it out. Ultimately the decision is yours. **Please note that the hair and cost of service are completly non-refundable, cancelling any appointments longer than 2 hours, less than 72 hours before the appointment will face a cancellation charge and consultations before your weave are absolutely necessary.